There are internal systems and clocks built in the body, helping us control our bodily functions. Also, it is worth mentioning that the physical and spiritual health shouldn’t be viewed separately, as they are closely related. The patterns of energy placements to different areas of the body at different times hold special place in traditional Chinese medicine, which suggests that the body dedicates different energies to different organs within the 24 hour cycle. Therefore, in case you wake up at the same time on a regular basis, it may indicate that some of your energy is getting obstructed, which in turn disrupts the natural balance. Most of these obstructions can be looked both physically and spiritually. Below you have a list of the times and organs they are associated with, which will help you identify the underlying cause of the symptoms you are experiencing. The period between 9 pm and 11 pm is the time when most people go to bed. What you should know is that this is the time when the endocrine system restores its balance and the enzymes are refilling. The hormones and metabolism are controlled by the endocrine system, meaning that if you have trouble falling asleep at this particular time, it is very likely that you are stuck in a flight or fight mode. Simply put, you are either stuck with the events that happened during the day or are preparing for the upcoming day. Another reason for these blockages could be a poor nutrition or a heavy meal later in the day. This is the time when yin energy is turned into yang, so waking up at this time on a regular basis may be due to any resentment you are stuck with. Yang energy is extremely active and the body is supposed to be keeping it for the upcoming day. To resolve this situation, it is recommended to stay calm, preserve energy, and reinforce love and positive feelings. As for physical causes, it is very likely that you are eating unhealthy fats which the gallbladder has trouble breaking down. This is the time when the body is performing a detoxification and renewal process. The liver is releasing toxins and making fresh, clean blood. 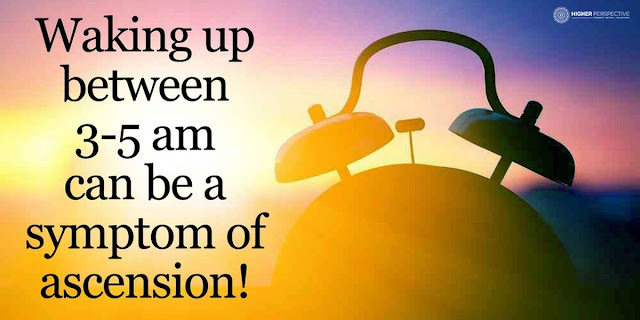 Waking up during this time could indicate negative formations like anger and frustration. If you are neglecting these spiritual toxins, the liver is trying to send you a massage! The period between 3 am and 5 am is the time when the lungs are undergoing repair and flood the body with oxygen. To accelerate bodily function, you need to be warm enough. Looking from a spiritual side, your problems with the lungs could be caused by sadness and grief. If you keep waking up during this time, try out some breathing techniques. 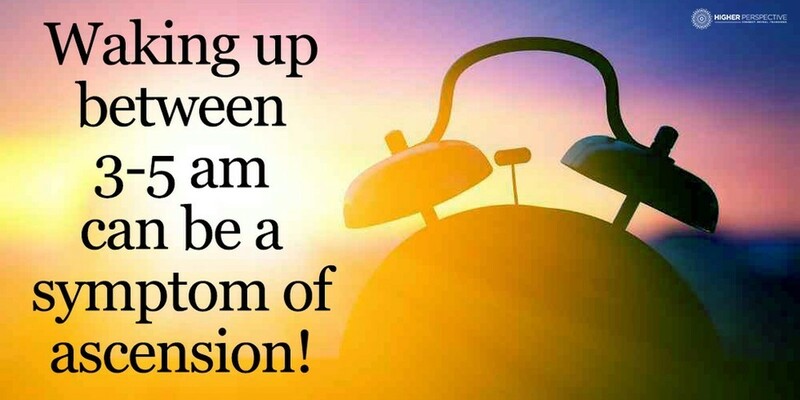 Another cause for waking up during this time can be ascension, a process of raising your vibrational levels. Other causes include lucid dreaming, changes in appetite, sensitivity to unusual sounds, long periods of feeling cold. The large intestine is highly active during this time, breaking down toxins and clearing them out of the body. Waking up at this time consistently may be caused by poor diet or eating too late.